Google’s Pixelbook Is On Sale…Everywhere! Wildly popular or slumping sales numbers? Who knows but right now is the time to buy the Pixelbook if you’re looking to upgrade your Chromebook game. 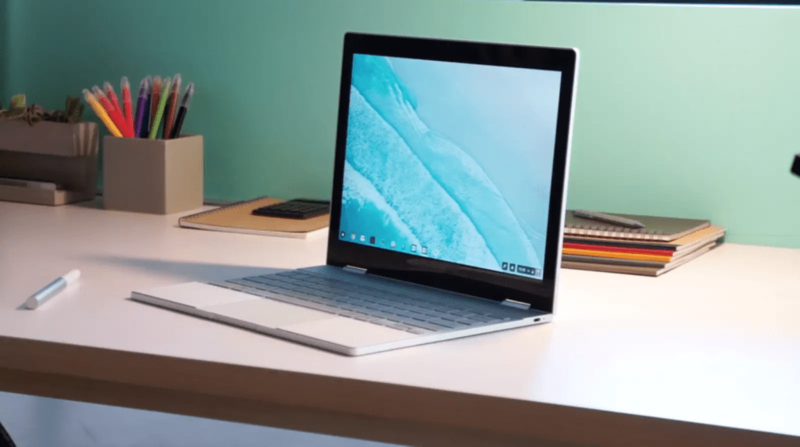 Since the holiday season ended, Google’s Pixelbook has found itself discounted as $100 and even more if you got lucky but right now, just about every retailer (even Walmart) has the flagship Chromebook on sale. Depending on the model and accessories you’re looking for, shopping around could save you a few extra bucks but never fear, we did the work for you! At the end of the day, the Pixelbook is $100 off whether you’re purchasing through the Google Store, Amazon, Best Buy or other but we wanted to share the advantages of each just in case you wanted to take advantage of a particular promotion or deal. If the base model of the Pixelbook is on your list, ABT Electronics out of Illinois has the best deal going on the Core i5, 128GB version. By itself, the Pixelbook is on sale for $823 and you can throw in the Pixelbook Pen for only $91 more making it the best bundle out there as well. Also, unless you live in IN, IL, MI or WI, you won’t pay any sales tax. BONUS! Check out the Pixelbook from ABT below before they’re gone. The world’s largest online shopping center has all three configurations of the Pixelbook discounted $100 but they also offer some interesting bundles for each that include the Pixelbook Pen, an extra charger or both. The Pixelbook Pen is on sale for $91 at the moment and bundling can you save you around $115 total. You can save another 10% if you have Amazon Prime Student account. Not only can you get 6 months of Prime for free, you can score some extra savings on the Pixelbook and thousands of other items. The Google Store is obviously a buying option for the Pixelbook but the only time I would take advantage of buying direct is to use their 0% financing they offer on most of their devices. At $100 off, you can pick up the base model Pixelbook for $37.46 a month for 24 months if you qualify. Great choice if you aren’t in a place to pony up a grand on a Chromebook at the moment. If you really want the brick and mortar experience, Walmart and Best Buy both have the Pixelbook on sale and you can choose ship-to-store to pick it up locally. Find a great deal? Shoot us an email to info@chromeunboxed.com so we can share.